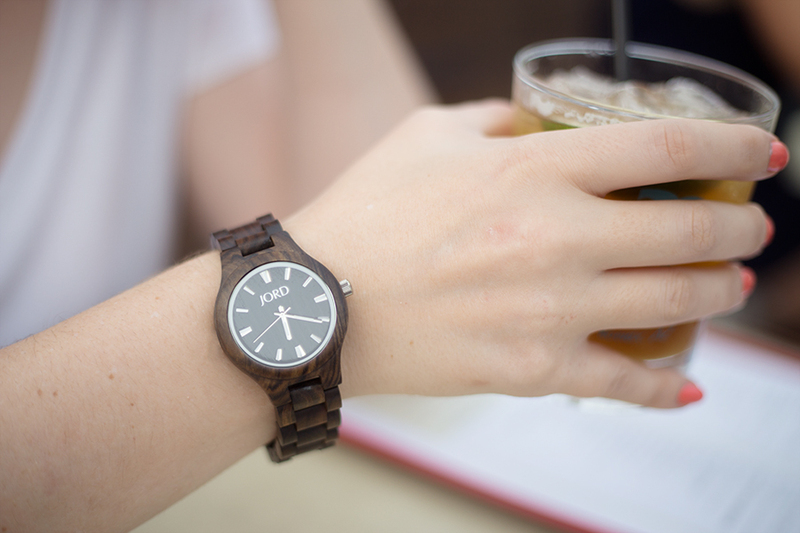 I have a special place in my heart for anything and all things made from wood, so when I was contacted by the people over at JORD to see if I wanted to review one of their watches I jumped at the chance. I actually won one of their watches a little while back and absolutely feel in love with it, so seriously, how could I say no to getting to try out one of their other styles. 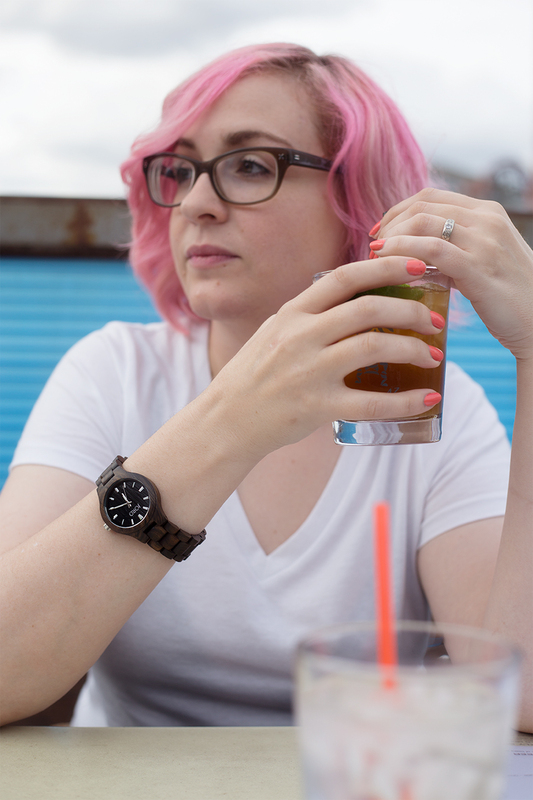 These watches have really helped me get back into the habit of wearing a watch again. Honestly, ever since phones I just stopped wearing one. I can always just look at my cellphone for the time. That, and I really never had a watch that I really fell in love with. That's not the case anymore, however, as these JORD watches are just so beautiful. 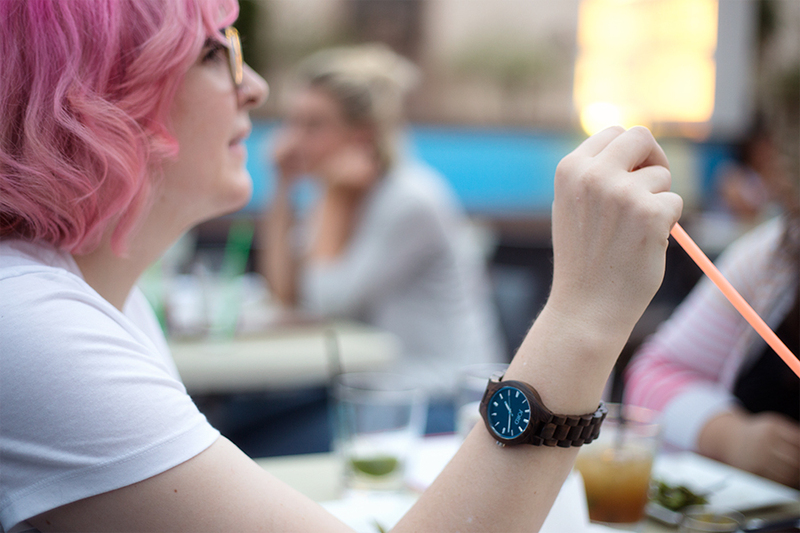 One of my favorite aspects about the watch is just how wonderfully light it is. Usually when I hear something is made of wood I was think heavy, but that's not the case with these bad boys. I also really love just how stylish the watches are. Both work well with just about everything I wear. My favorite pairing is with a plain white tee, I think they just look so good together. Also, I'm not going to lie, when my friends saw the watch they definitely made more than one comment about borrowing/stealing it because they loved it so much, haha. So does anyone out there still wear a watch everyday or it is just the occasional accessory piece for an outfit? Disclaimer I was given this product free of charge in exchange for a review but all the content and opinions expressed here are my own. And as always thank you for supporting the brands and sponsors that help make Little Lady Little City possible.